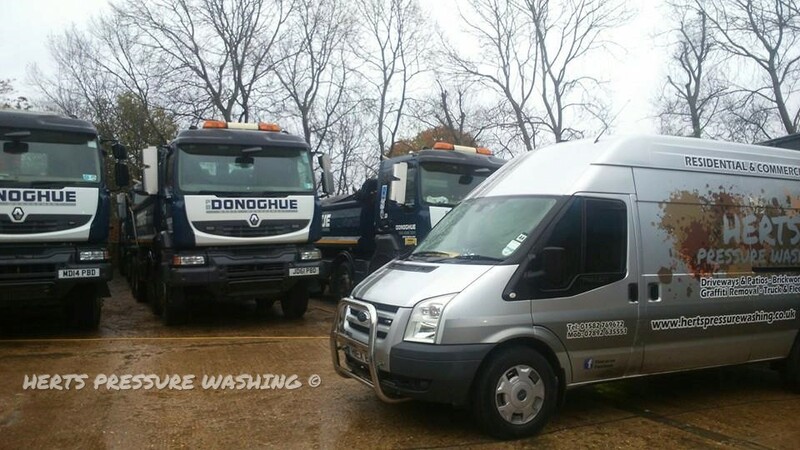 Are you looking for a reliable truck washing service in North London or Hertfordshire? Herts Pressure Washing provide a mobile truck washing service at the customer’s location. We also offer pre-MOT chassis steam cleaning for all HGV vehicles and plant machinery. Our professional, on-site truck and fleet cleaning service is unparalleled in quality and customer service. All of our staff are reliable, fully trained, and are covered by insurance when on site. If you have a fleet of 5 or more vehicles and would like to know more about our fleet and truck wash services, please contact the Harpenden office on 01582 769672 to have a discussion about what we can offer you.